English novelist and poet Anne Brontë was the youngest, and least recognized, member of the Brontë literary family. She wrote a volume of poetry with her sisters, Charlotte and Emily, before publishing two novels under the name Acton Bell. 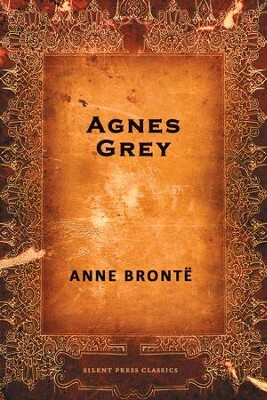 Brontë achieved modest success with her first novel, Agnes Grey, which was based on her time working as a governess, but her second novel, The Tenant of Wildfell Hall was a triumph, selling out in just six weeks. The Tenant of Wildfell Hall is also considered one of the first feminist novels, with depictions of alcoholism and immorality that were profoundly disturbing in the 19th century. Brontë died of tuberculosis in 1849 at the age of 29. Collectively, the Brontë sisters' novels are considered literary standards that continue to influence modern writers. I'm the author/artist and I want to review Agnes Grey - eBook.